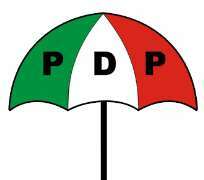 PDP Will Rule For 60 Years—Still Counting? To say that Nigerians are easily excitable people is stating the very obvious and indeed our political players do not spare any effort in providing the much-needed entertainment. The fever is intense, everyone is talking about the 2015, and you will be forgiven to think that it is 2014 in Nigeria, but it is still 2013. In our clime when everyone starts talking even patients at Psychiatric homes air the views. Many analyst have written and quite a number of commentaries are in public domain regarding how the so-called implosion of the Peoples' Democratic Party is in the interest of Nigeriawell it equally depends on what context Nigeria is used, the people or its elite or a structure. So the answer to the question, is the implosion a good omen, should be yes and no. Only few weeks the frenzy was the registration on the APC, shortly PDM followed and the little matter of a group also registered as the Independent. And last week the nPDP emerged with the usual suspects. The fact is that what Nigerians are going through at best is no different from the typical episodic irritation of a political system in which groups that seem to have been outsmarted conglomerate. It is not about Nigeria - its future, progress and prosperity, its evolution and integration, it is about 'them'. Leadership and followership is in a state of higgledy-piggledy, Nigerians are docile people, despite our acclaimed intellectual prowess, we are largely politically 'miseducated', and majorly functional illiterates, we still are naive, it might sound hard and derogatory but we are equally cowards that are quick to celebrate a bunch of self serving, self interest and petty interest infested persons. Political schemes and permutations are largely regional, religion and ethnic. We engage in two psychoses, first is the self-destruct, we are not meant to live together, and we have too many problems myth and on the other the fallacy of 'god' will come down and solve it all, because it is Nigeria. We are a group of people that would complain right from meat not being in the soup, to that the meat is too soft or too hard, in cases that we do not want meat again, rather we want fish but when given fish we tell people only yesterday, we had become vegetarians, thus denying goats their own livelihood and wasting the soup in the process. Our leadersso called, are full of newspaper tigers, press conference lions; all the policies, achievements and troubles are only seen on the pages of newspapers. Everything in Nigeria at the moment is only on the newspapers, the ruling party has achieved a lot in the three tiers of government through the papers, and we have a federal system of governance only on paper. The Opposition does not proffer solutions, nor do they 'co-optite' (cooperatively compete/competitively co-operate) but take the other half of the hall to address the press and criticize. So clowns team up and say Jonathan signed a document, so he should not contest, instead of working towards beating him square and round at the polls, with better option provided and on the count that he has not performed. The logic stands on its head as an 'isi ewu' argument. Meanwhile whether it is APC, CPC, AC, ACN, PDP, PDM, ID, APGA or nPDP, until we do something different, its 60 years on the trot, can the toad squatting provide us a chair--only time will tell.